More commonly referred to as the pearls of the Indian Ocean, the splendid islands of Maldives are located on the equator towards the southwest of Sri Lanka. It is a cluster of numerous coral reef islands, out of which only 200 are inhabited. 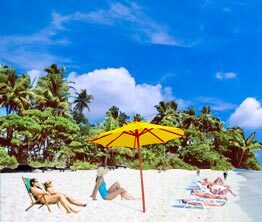 Tourism in Maldives is on its boom and it is owing to this reason that 44 islands serve exclusively as resort islands. 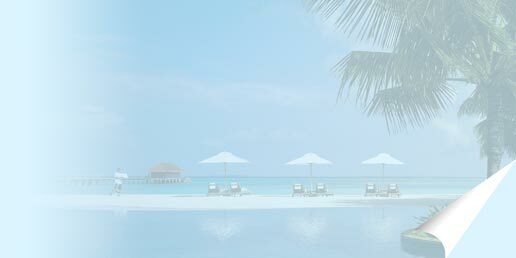 Read on to know more Maldives travel information. The country experiences tropical weather throughout the year. The most happening place of Maldives is its capital city named Male. Dhivehi is the language of Maldivians. The people out here are Sunni Muslims and Islam is the main religion followed here. Infact, it is prohibited to observe any other religion except for Islam. Maldives has a sophisticated system of communication. Economy of Maldives is increasing at a fast pace. Main industries include tourism, fishing and shipping. Investments by foreign countries are welcomed by the Maldivian government. Dressing style is casual but one has to maintain the basic decency. Taking into consideration the climate of the country, T-shirts and cotton clothing are the best. As far as the currency is concerned, it consists of the Rufiyas and Laaris and 1 Rufiya = 100 Laaris. You can make the payment at resort through cash, traveler's cheque or credit card. Maldivians have a high literacy rate and education is given a lot of importance.